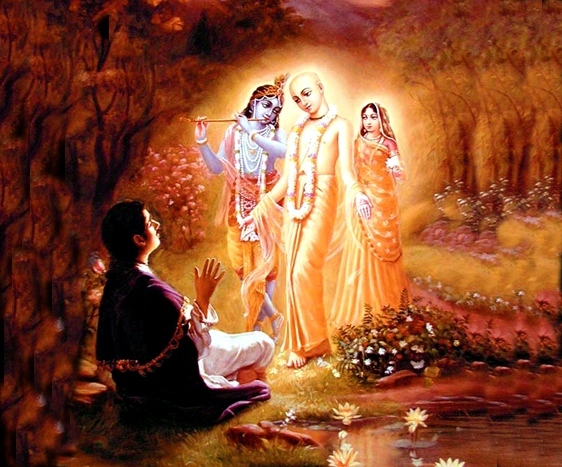 Commonly known as Holi, the day of phalgun purnima is celebrated around the world by ISKCON and other Gaudiya vaishnavas as Gaura Purnima as it is the most auspicious appearance day of Lord Sri Chaitanya Mahaprabhu, who, according to Vedic scriptures is none other than Lord Krishna Himself who descended on this planet to teach Bhakti yoga in its purest form. 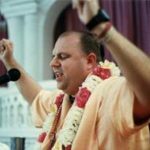 As the awareness of Lord Chaitanya’s real identity increases around the world, more and more people are participating in the celebration and making quick spiritual progress. 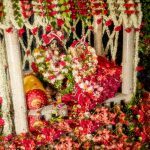 Since Lord Chaitanya appeared accepting the mood and golden complexion of Srimati Radharani, He is also known as Gaura Hari or Gauranga Mahaprabhu. 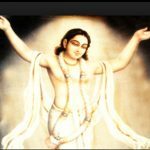 In the past we published an article extensively presenting evidences from the Vedic scriptures showing how Lord Chaitanya is not just a saint or social leader as many think. He is Lord Krishna Himself, the Supreme Personality of Godhead. He is known as chhanna avatar, or hidden incarnation, but that does not mean no one knew He was going to come. All incarnations of the Supreme Lord are predicted in the Vedic scriptures and such predictions are revealed at the right time. It is chiefly by the mercy of His Divine Grace A.C. Bhaktivedanta Swami Prabhupada that today, in all corners of the world, Lord Chaitanya’s name is spread and people are able to recognize Him as God. This was predicted by Lord Chaitanya Himself when He said prithivi te achhe jato nagaradi gram sarvatra prachar haibe mor nam, that in every town and village on the earth the transcendental glories of His name will be spread. For stunning references found in the Vedic text predicting Lord Chaitanya’s advent in this world please refer to Vedic verses reveal more secrets about Sri Chaitanya Mahaprabhu. 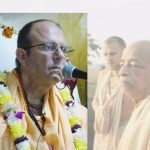 Sridham Mayapur being Lord Chaitanya’s birthsite, ISKCON‘s founder acharya His Divine Grace A.C. Bhaktivedanta Swami Prabhupada decided to keep ISKCON’s headquarters in Sri Mayapur. 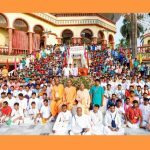 Devotees and tourists from many countries visit Sri Mayapur for participating in this unique festival. Despite large guesthouses and other dwelling facilities, many pilgrims still face difficulties in getting accommodation. Wealthy and generous people need to come forward and build dharma shalas and other facilities here so that more pilgrims can participate in the festival. That will certainly be appreciated by Lord Chaitanya and His devotees. Wishing you all a very happy Gaura Purnima! Hare Krishna.